Pin Money: Make workouts much more tolerable with these adorable and affordable workout clothes! Make workouts much more tolerable with these adorable and affordable workout clothes! It's that time of year when everyone is going or at least wanting to go to the gym. I know ladies... I dread it too! I used to throw on baggy pants and a t-shirt, but I swear when I purchased a cute work out outfit I felt better about going. I'm not sure if it was the feel, the look, or if I'm just mental, but whatever it is it works! 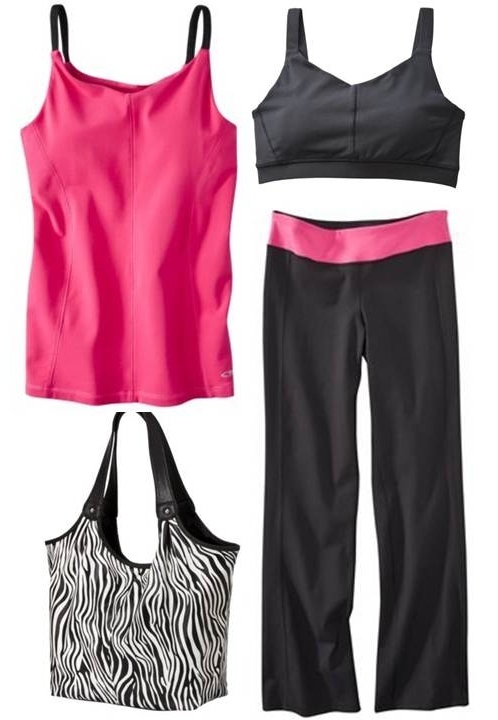 I have put together a few cute work out outfit options below. What's great about these is that they are not only cute, but cheap! Take a look, try a few, and get your work out on! This adorable blue work out outfit plus gym bag is all from Old Navy! Find these unique blue striped pants for $39.94, blue sports bar for $14.00, matching rackerback go dry blue tank for $19.94, and duffel bag for $22.94. This outfit is extremely flattering on all shapes and is comfortable!! This sassy and fun work out outfit is from Target. Find this pink champion tank with built in bra for $26.99, black premium sports bra for $22.99, C9 by Champion reversible premium pants for $39.99, and this sassy zebra tote for $16.99. Morning sunshine! This yellow workout outfit from Forever 21 will definitely wake you up! 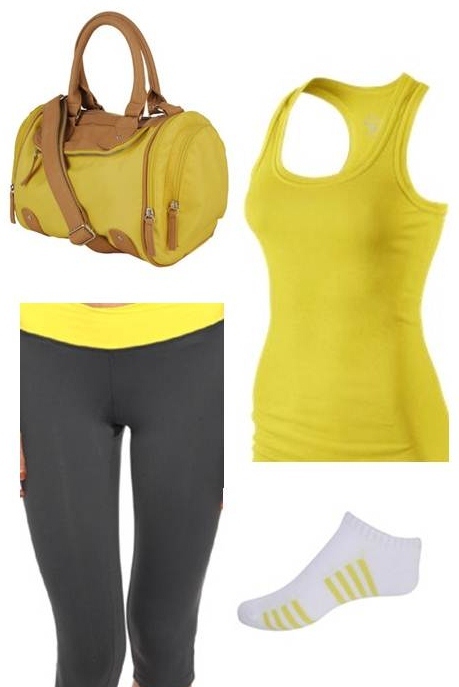 Find these yellow overlap capris for $17.80, tank for $12.80, yellow nylon Boston bag for $24.80, and matching yellow socks for $4.50. Orange you glad you decided to work out today?! 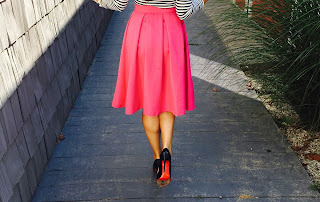 Find this fun orange, multi-colored outfit at Old Navy. 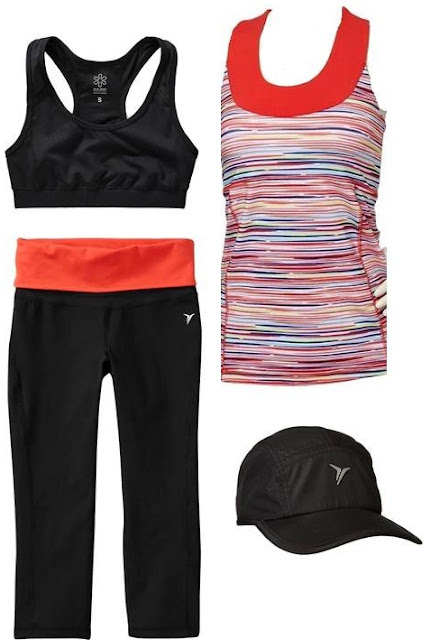 Black hat for $9.94, Control max capris for $29.94, multi-colored compression top for $26.94, and black sports bra for $14.50. These all stuffs are just so perfect for athletic body.I had also found these type of apparels also on http://www.apparelnbags.com/champion/index.htm and they are also really cool. I read your blog you have shared verities workout clothing it's inspires me a lot of- really nice fashionable-gym-wear.Here you get more relative information if you have time please go cheap gym clothing. Wonderful clothing and prices are quite appealing. Me and my sister bought Carbon38 workout leggings couple of months ago. Got amazing discount and stuff is really liked by our mother too. Thinking to buy other variety of clothing too from the same store as selling a huge variety of outfits. Remarkable post, you have raised some superb concentrations, I likewise believe this is a to a great degree eminent site. Thank you very much to sharing this article. People who maintain their fitness are looking too good even they wear simple or cheap clothes. For more details about bodybuilding and fitness, browse this site. Amazing insight you have on this, it's nice to find a website that details so much information about different artists and Excellent information on your blog, thank you for taking the time to share with us.browse this site. These workout clothes are really affordable and simply the best. Atleast better than pants and a t-shirt. Thank you very much to sharing this article. repeat site.